Since you’re a game developer or maybe a game publisher, you know you have to make a decision about the distribution method of your game. Most probably you’re thinking about using a CDN. Even if you’re not aware of it, many game distribution platforms like Steam are using a 3rd party CDN to distribute their games. PatchKit is not meant to be a marketplace. Instead, we’re focusing to provide a high quality CDN with games in mind. Is here a difference between this approach and making a general purpose CDN? Yes, and this is a big one! Game is not just a binary stream of data. Games (and other applications) are required to be frequently updated. Since game files, comparing to any other software, are significantly larger, there’s a certain approach to be made. 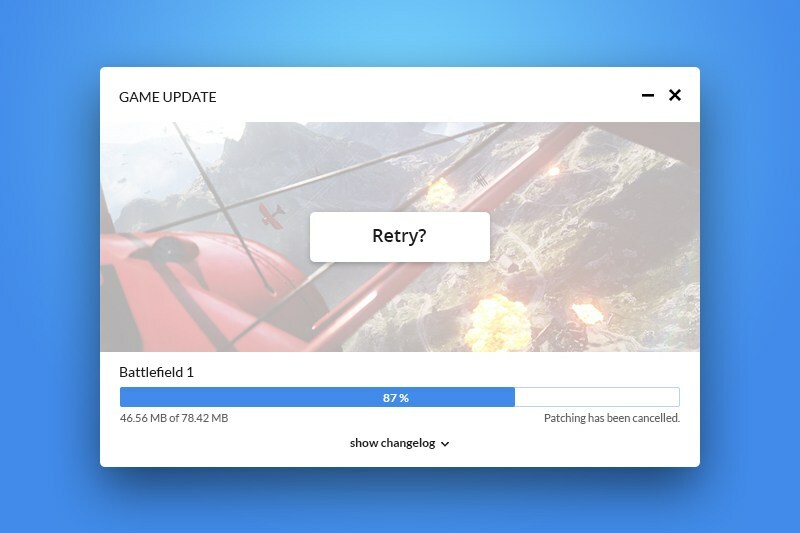 Players shouldn’t be forced to download a whole game content each time a new version is released. PatchKit not only allows to use binary difference files (patches) as a method of upgrading application, but it also manages it completely on your behalf. You don’t have to worry about creating a single patch! Just pick up your file content, zip it and submit it! If your game is really big or your Internet connection won’t allow you to quickly submit a game version, use PatchKit Tools. PatchKit Tools will save your bandwidth (and time) by creating a binary diff locally, then sending it back right to us. You may not want to send the newest version of your games directly to your players. Instead maybe you have a group of beta testers who will make sure that everything works well? PatchKit allows you to create a multiple distribution channels, so only specified groups of users will be able to download the game at the specified version. PatchKit does not require installation of any 3rd party software. Instead we’re building a patcher application individually for your game. Patcher is a small portable executable that has one purpose – get your game installed at the newest version. If a new version of your game is released, patcher will upgrade it immediately. Our patcher application source code is available on GitHub. If you’re familiar with Unity, you will be able to customize it at will, and use fully customized version instead of the default one. Get your game beta tested before the release! Why Patchkit?